On two successive nights of lecture-performances, pianist Gustavo Romero will discuss and perform two piano masterworks. The first evening will present Schubert’s beloved last piano sonata in B-flat major, D.960. Details of the composer’s life will be revealed, including Schubert’s struggle with ill health, Beethoven’s influence as a role model, and the importance of song in the character of Schubert’s music. The second evening will feature Mussorgsky’s Pictures at an Exhibition. In nineteenth century Russia, Mussorgsky and his contemporaries rejected the influence of German composers in seeking to create a music that would be purely Russian. The kaleidoscopic movements of Pictures at an Exhibition, each based on visual artwork, allow listeners to experience the power and directness of Mussorgsky's non-western European musical language, from his incarnation of fantastic creatures and comic flights of fancy to the monumental tone painting of ‘Great Gate of Kiev’. 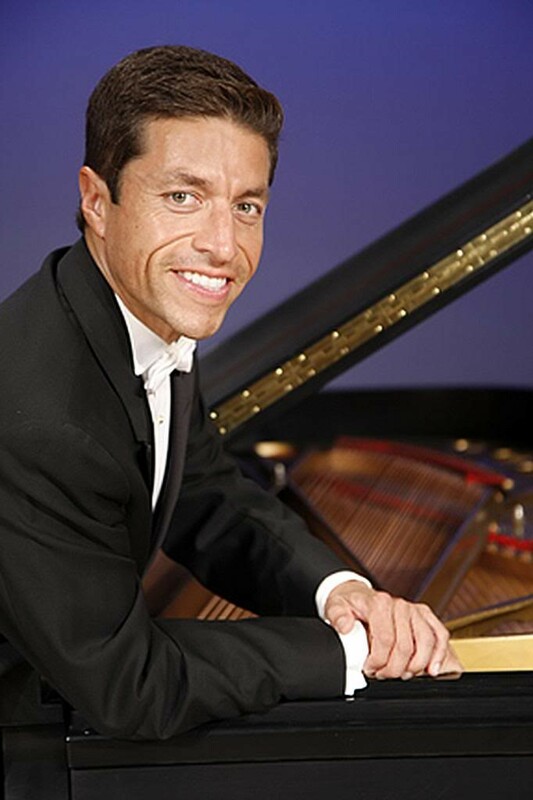 Gustavo Romero joined the piano faculty of the University of North Texas College of Music in 2002 after five years serving on the faculty of the University of Illinois, and nine years on the faculty of the Eastern Music Festival in Greensboro, North Carolina. His formal training was earned at The Juilliard School, graduating with a bachelor of music in 1988, and a master of music in 1997. In 1989, Romero was the winner of the prestigious Clara Haskill International Piano Competition in Switzerland. Since 1999, Romero has performed numerous complete recital cycles at the Neurosciences Institute in La Jolla, California, including works by Chopin, Bach and Beethoven. He has played with Radio France Orchestra, Philharmonica Hungarica, and Liège Philharmonic, and performed concerts in Paris, Zurich, Milan, and Berlin, among other cities. He has appeared at major festivals, including New York's Mostly Mozart Festival, the Aspen Music Festival, and the Montpellier Festival in France. In addition, he recently performed recitals at both the Kennedy Center for Performing Arts in Washington, D.C. and at Alice Tully Hall in New York. Romero has also conducted master classes nationwide, as well as in Europe and South Africa.